Need simple, quick, and CUTE cards for a loved one? You can whip one of these super cute cards up in no time! Great to slip into a child’s lunch to brighten their day at school, give to a teacher, friend, etc. Or just add it along with a fun gift for someone. 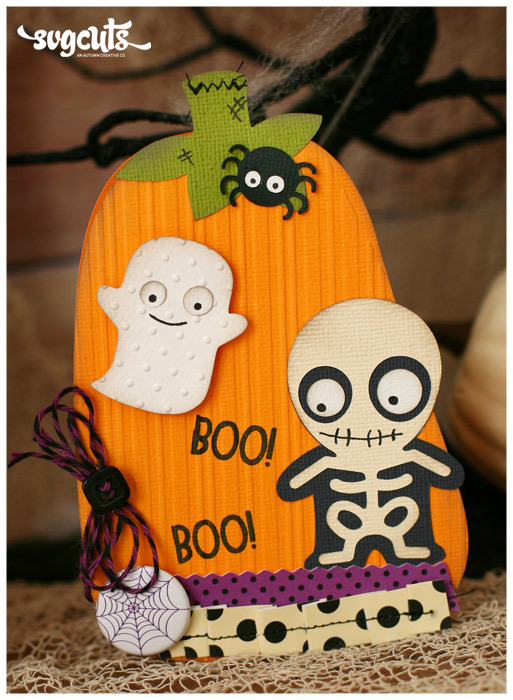 These cards are definitely too cute to spook! Open the candy corn cutting files cream.svg and size to 6” high. Create a copy, flip (mirror) and weld to create a card base. Cut orange.svg and yellow.svg. Emboss the orange piece to add some texture and adhere orange and yellow pieces to card base. Ink around edges with light gray ink. Add zig-zag stitching to the card with black thread. Cut and adhere the bat, spider, and Frankenstein. Draw on faces and eyes. On Frankenstein’s hair I added a thin layer of adhesive and dusted some flocking powder over it to give his hair a velvet soft texture. On his shoes I did the same thing but instead of flocking powder, I used black glitter. I cut a very thin strip of black paper to create a ’web’ to hang the spider from. Finish embellishing the card with coordinating twine or ribbon and flair button. Stamp on sentiment. Open the pumpkin.svg file and size to 6”h. Make a copy, flip(mirror) and weld edges together to create a card base. Emboss with striped embossing folder. Cut the stem.svg, add some stitching and black gel pen ’scratches’ and adhere to card base. Ink edges in light gray. Cut one strip of white/black polka dot paper about 6”w and .75”h. Pleat fold and stitch with black thread. Adhere to card. Cut another strip .50”h and 3.50”w with purple and black polka dot paper. Trim edge with pinking scissors and adhere to card slightly behind the pleated trim. Cut the skeleton, spider, and ghost. Draw on facial features, ink edges in gray and adhere to card. Use foam adhesive to pop up the ghost. Finish embellishing the card with stamps, twine, button, and flair. Inking edges, adhering die cuts with foam adhesive, and embossing give simple cards great dimension and add a bit more interest. Just because it’s simple doesn’t mean it needs to be boring! Just a few extra little touches can really make it pop! Other ways to add texture are with some flocking powder, glitter, etc. I rather ’hand glitter’ than use glitter paper. I just think it looks better! The flocking powder is REALLY fun! Messy.. but fun. Pay attention to how you draw on their eyes. 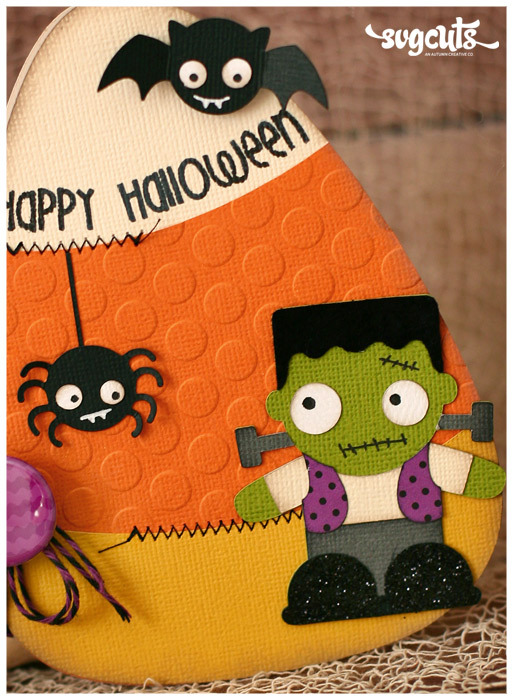 See how I made my little Frankenstein look like he was scared of that creepy spider? It wouldn’t have had the same cute look and feel if the eyes were facing straight out. Adding a little bit of random stitching is fun and a great way to make the cards that much more special! 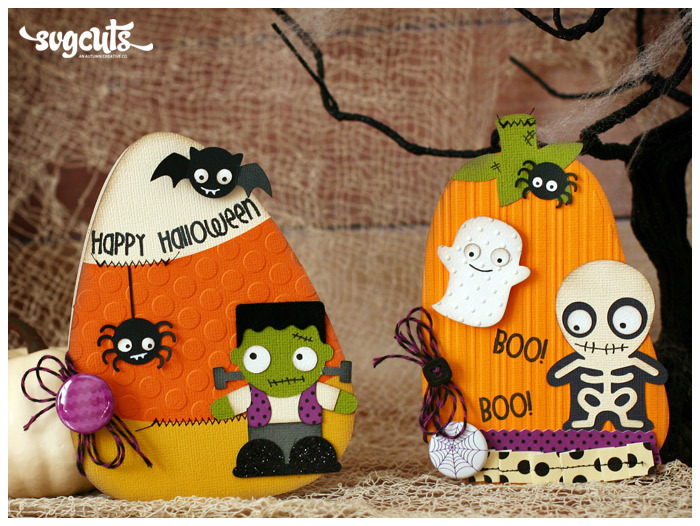 Look at the Spooky Cuties SVG Collection and see what other fun shaped cards you can make! This might be a ’flat’ collection but you really can make it fun (well, MORE fun!) and exciting with tags, cards, etc. 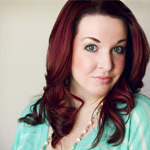 I already have plans to make a cauldron card and add on that cute little witch! What about a little moon shaped card? See?! FUN! Thanks for taking the time to check out this project! I hope it has gotten your wheels turning and you’re running off to start cutting some Spooky Cuties! 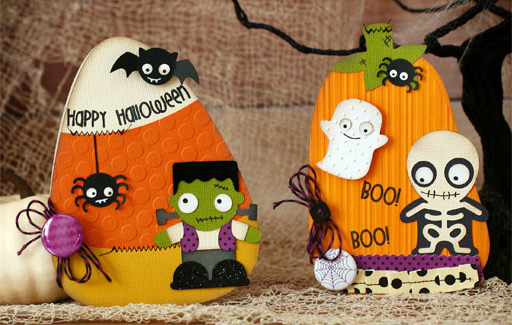 If you’re coming across this project when it’s not so close to Halloween, check out the MANY collections at SVGCuts.com and see what other fun and easy shaped cards you can make! I was able to make these REALLY quick and you can too! Enjoy and happy crafting, friends!